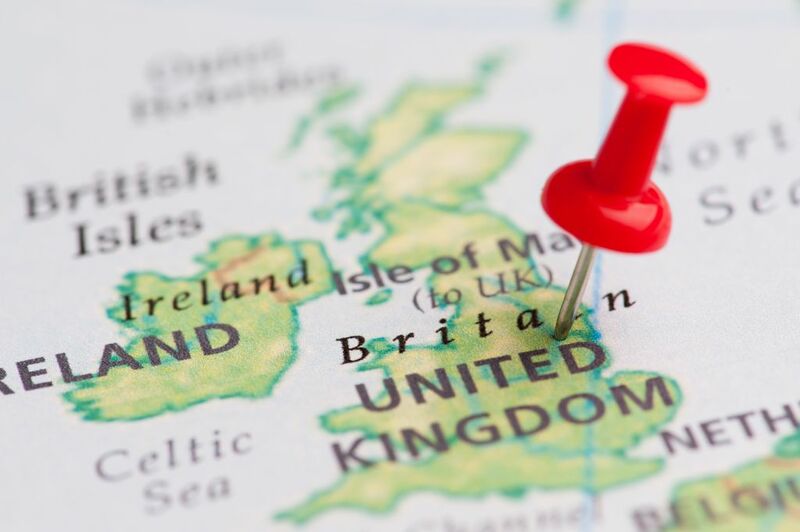 If you’ve never driven in the UK before, it’s best to get some advice before adventuring into the green and pleasant lands of England, Ireland, Scotland or Wales. Us Brits have a few quirks when it comes to the road network, which obviously we think works pretty well, but these can be unnerving for a foreign motorist. Thankfully, Gatwick Car & Van Rental are here to provide some advice before you head on over to the UK! Which side of the road do you drive on in the UK? A majority of the world may disagree, but the British always drive on the left hand side of the road. England, Ireland, Scotland and Wales all choose this preference and if you are used to driving on the right, it’s useful to stick a reminder on your dash to ‘Think left!’. Speaking of driving on the left, remember to fit headlamp beam deflectors to your lights to adjust their direction to the left of the road for safe driving at night. What are roundabouts and how do they work? To some drivers, particularly North Americans, British roundabouts are a novelty. For the busy and dense traffic in Britain, however, they work wonders to keep the road network flowing. On a roundabout, always give priority to cars already on the roundabout coming from your right. Traffic flows clockwise around a British roundabout and you should always signal before the exit you want to take. Though most roundabouts are designed as an alternative to traffic lights, you can expect large roundabouts to have traffic lights on the roundabout itself. In which case, follow exactly the same rules and always check your mirrors before making a manoeuvre. Mini-roundabouts work in the same way and are indicated by a blue sign with three circling arrows. What do British road signs mean? Warning signs: triangular with a red border, e.g. crossroads and wildlife signs. Prohibitive signs: circular with a red border, e.g. stop and no entry signs. Positive instructions: blue circular signs without borders, e.g. turn left and one way signs. Directions: rectangular, larger than standard signs and colour coded for different roads – blue for motorways, green for A roads, white for B roads and brown for tourist attractions. Do I need nationality plates? Yes. A nationality plate must be affixed to the rear of your car identifying the country where it is registered. Foreign-registered cars can only display one nationality plate and not an assortment to indicate occupants’ nationalities. Wherever the car is registered, that is the plate you should use. Can I use my mobile phone while driving? No. Not under any circumstances are you allowed to interact with your mobile handset whilst driving, or even whilst the engine is running and you are stationary, for example at traffic lights. These tough laws were introduced in 2003 to reduce the number of road deaths directly caused by mobile phones. If caught, you’ll risk a maximum fine of £1000, which rises to £2500 if driving a coach or heavy goods vehicle. You are only allowed to use your phone whilst driving if you have a hands free device and your phone is securely fixed into a purpose built cradle. Gatwick Car & Van Rental is a premier car hire specialist serving customers around the Gatwick Airport. We offer fantastic deals with all our hire options, including free pick-up and drop-off at the terminal. So whether you’re hiring a car, van, MPV or minibus, we’re sure to provide the best start to your journey. Call us today, we’re always happy to help.